This examination is being given to fill two (2) vacancies in the Behavioral Health Services Department and to establish an eligible list to fill future vacancies. Recovery House is a residential drug and alcohol rehab program for adult men and women using social model detox services. The focus in Recovery House is on co-occurring mental health and substance abuse disorders. Short-term and long-term care are available to participants. Assigns, schedules, supervises, disciplines, and evaluates program staff; develops and implements new employee orientation and training and staff development programs; conducts and/or participates in staff meetings. Assists in the preparation and monitoring of the annual program budget; determines staffing and supply needs; prepares routine justifications; orders supplies and monitors expenditures. Develops or assists in developing and implementing program changes; reviews and evaluates changes in program requirements and program needs; assists in developing or modifying program components; prepares activity schedules. Reviews client case records for conformance with Medi-Cal, state, federal and County program requirements; works with staff and others to resolve case and utilization management problems and issues. Develops or assists in developing program goals, objectives, policies and procedures; assists in interpreting policies to staff; advises program counselors on unusual or difficult client issues. Gathers and maintains information for reports; compiles and prepares a variety of reports; composes reports and correspondence; may prepare and present informational programs to community groups. Plans and conducts individual and group counseling sessions; discusses and evaluates individual and family behavioral, social and psychological issues which affect treatment and progress; determines most effective treatment plans, implements plans and evaluates progress. Develops curriculum and resources for specialized training for group educational sessions; obtains specialized training and may develop resources to train other staff; implements and modifies specialized training programs; presents special group training throughout the agency. Performs special project assignments such as assisting in developing, implementing and modifying curricula; performing special assignments related to new programs or changes in existing programs; developing and implementing new procedures; participating on committees and task forces; resolving issues in delivery of services and operations. Provides leadership and training to staff; may provide work guidance to other staff; may coordinate small ad-hoc committees and groups; may review work of other lower-level counselors; may schedule special activities for specific program components; may assume responsibilities of other counselors/ workers in their absence; may direct resident and volunteer workers to include training and evaluation. May transport clients to various community resources. May be assigned to rotating shifts.  Education: Completion of a certificate program in substance abuse counseling, recognized by the San Joaquin County Department of Health Care Services. Experience: Four years of counseling or case management experience in substance abuse or social crisis program at a level equivalent to Substance Abuse Counselor II in San Joaquin County. Education: Graduation from an accredited college or university with a major in psychology, social work, business or public administration or closely related field. Experience: One year of counseling or case management experience in a substance abuse or social crisis program at a level equivalent to Substance Abuse Counselor II in San Joaquin County. Substitution: Additional qualifying experience may be substituted for the required education requirement on a year-for-year basis to a maximum of two years, but may not be substituted for the specialized education requirement. Completion of a certificate program in substance abuse counseling may be substituted for 12 semester or 15 quarter units of specialized education. Certification: Possession of a current certificate as an Alcohol and Other Drug (AOD) Counselor issued by a certifying agency approved by the State of California. Certification must be maintained, as defined by the Department of Alcohol and Drug Programs, California Code of Regulations, Chapter 8. Failure to maintain certification may result in release from employment. License: Possession of a valid California driver’s license if required by nature of assignment. Substitution for Alcohol and Other Drug Certification: Possession of a license to practice medicine issued by the Medical Board of California; or Psychologist licensed by the Board of Psychology; or Clinical Social Worker; or Marriage and Family Therapist licensed by the California Board of Behavioral Sciences; or an Intern registered with the California Board of Psychology or the California Board of Behavioral Sciences. Laws, regulations, policies, and procedures relevant to the County’s Substance Abuse Program; principles and practices of supervision and training, methods and techniques of individual, group and family counseling; physiological, psychological and sociological aspects of alcohol and other drug dependency and abuse; needs, problems, attitudes and behavior patterns of substance abuse clients; principles of public relations; reporting and record-keeping techniques; basic computer and modern office automation technology and computer software programs relevant to department operations; community agencies and resources; principles and techniques of case and utilization management. Interpret and apply all applicable regulations, policies, and procedures relevant to a substance abuse program; train and supervise others; evaluate client and family needs; maintain client confidentiality; recommend treatment plans and counsel clients and families; analyze and evaluate situations accurately; reason logically and draw valid conclusions; operate computers and related software; utilize computers and office automation equipment; establish and maintain effective working relationships with clients, co-workers, community agencies and the public; maintain records and write reports; communicate effectively, both orally and in writing. Mobility-Frequent sitting for long periods; operate a data entry device; some walking; occasional standing, pushing, pulling, bending, squatting, climbing; driving; Lifting-Frequent lifting of 5 pounds or less; occasional lifting of 5-30 pounds; Visual-constant need for good, overall vision and reading/close-up work; frequent need for color perception and use of hand/eye coordination; occasional use of depth perception and peripheral vision; Dexterity-Frequent holding, reaching, repetitive motion, writing; Hearing/Talking-Frequent need to hear normal speech, talk/hear on the telephone and talk in person; Emotional /Psychological-Frequent public contact, decision making, exposure to emotionally charged situations and distraught clients; deal with emergency situations; constant concentration; occasional exposure to trauma, grief, or death; Special Requirements-May require working weekends/nights; working alone; Environmental-Occasional exposure to varied weather conditions.